The Third King of Bhutan, His Majesty Jigme Dorji Wangchuck (1952-1972), set Bhutan on the path to modernization, reorganizing Bhutanese society and transforming systems of education, transportation, agriculture and health care. Yet at the same time, he understood very well the value of Bhutan’s distinctive traditions to the identity and well-being of the nation. Although perhaps it is not widely known today, His Majesty held Bhutanese music and dance in particular esteem, and was a steadfast patron of these traditional arts. During the 1960s he sought out the most talented singers, musicians and dancers in the country and brought them to his court, where they played a prominent role in daily life. In 1968, His Majesty commanded his finest singers to make a gramophone recording. They traveled to Dum Dum Studios in Calcutta, India, to undertake the project, as gramophone recording technology was not yet available domestically. Dasho Drupon, an experienced leader who also played drangyen (Bhutanese lute), was in charge of the group. The respected dance instructor Drimpon Sonam Dorji served as assistant leader. In addition to Sonam Dorji, male vocalists included Bumtap Tawla, Nija Kado and Gyen Tawchu. Female vocalists included Tshewang Lham, Thinlem, Changzam Dagom, and Ani Lham. Additionally, the group included several instrumentalists: Khetu (chiwang), Dawpey (drangyen and flute), Tango Pem Namgay (drangyen) and Gyelwa Karmapas Drapa (flute). The musicians went to Calcutta twice that summer, with each trip lasting about 20 days. The songs recorded at Dum Dum were released on long-playing vinyl records that were distributed to various Bhutanese royals and officials. As the first gramophone records of Bhutanese vocal music, they were undeniably of lasting cultural importance. However, with a limited print run and no sales to the general public, the discs eventually slipped into obscurity. In 2009, Music of Bhutan Research Centre director, Kheng Sonam Dorji, began seeking out and conducting interviews with elder musicians who had served the Third King. Several artists recounted the Calcutta trips and told Dorji that the songs recorded there had filled at least two long-playing discs. Dorji immediately realized the significance of these pioneering LPs and began searching for them. Each artist had received copies, but few owned record players, and in the intervening four decades the musicians had all lent out their discs or misplaced them. Dorji followed various leads in hopes of finding the records, but all to no avail. Finally in the spring of 2014, Dorji obtained a copy of one of the records, identified as 33PIX.1017, from a close attendant of the Third King, Dasho Sangay Tenzin. The LP was then hand-carried on flights from Thimphu to California, U.S.A., where audio restoration specialists meticulously converted the worn out tracks to digital format and remastered each song to a striking degree of clarity. This CD, featuring all fifteen of the tracks from the LP in their original order, reveals the quiet power and sublime beauty of Bhutanese musical tradition. 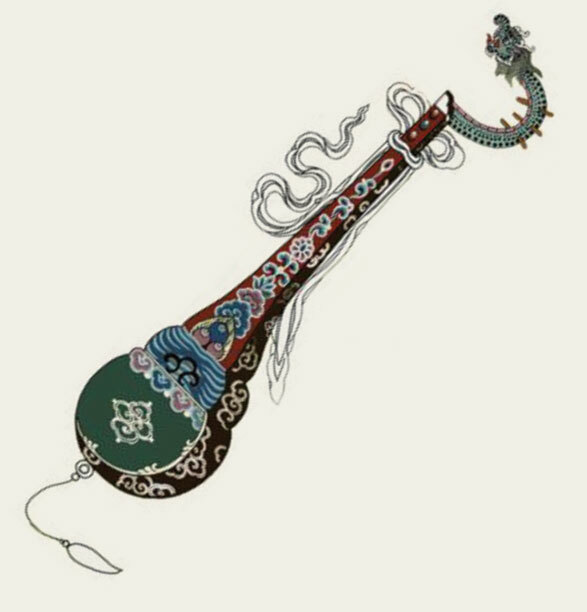 It not only showcases some of the most gifted artists of the era in their prime, but also captures a special historical moment, when an advanced twentieth-century technology was able to capture an aesthetic sensibility that pre-dates the arrival to Bhutan of popular music and western influences. The Music of Bhutan Research Centre is proud to offer this recovered audio treasure to the Bhutanese people and the world.